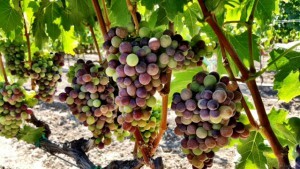 Currently our grapes are going through veraison in California. Veraison occurs when the berry transitions into the ripening stage. From now forward the berry will increase in sugar concentration until it is harvested at the desired brix level. Grapes for sparkling wine or champagne are harvested around 17 brix and grapes for still wine are harvested around 25 brix. The brix level will determine the alcohol level in the wine. For example, a grape picked around 25 brix should create a 12.5% alch by volume wine. Harvest will be here before we know it! It’s to time start getting organized. Click HERE to see our upcoming events and classes that will help you get ready for harvest. 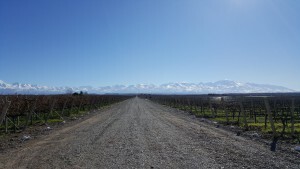 We are very excited and fortunate to be sourcing our Chilean grapes and juices from the “Heart of the Chilean Wine Industry” known as the Curico Valley. 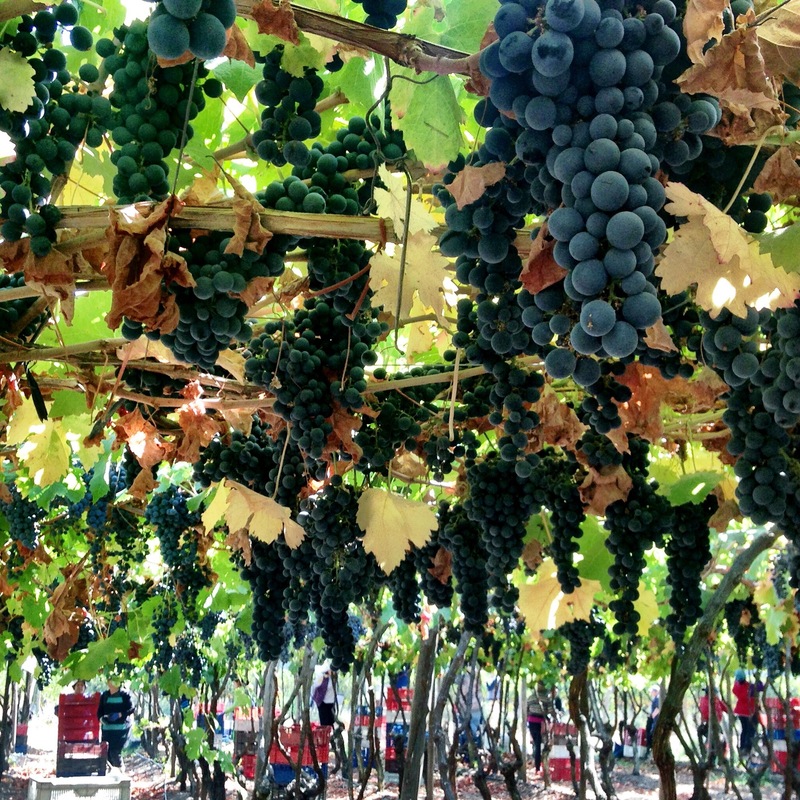 Curico has been a wine grape growing region since the 1800s. With its fertile soil, microclimates, and the ability to grow over 30 different wine grape varieties, it’s no wonder this prestigious region is considered the heart of the wine industry. Soil Content: Sand, clay, decomposed granite, and volcanic-alluvial. The second region we will be sourcing from is the Colchagua Valley. The Colchagua Valley is known for growing bold red wines, such as Carménère, Cabernet Sauvignon, Cabernet Franc, and Syrah. It has a mediterranean climate and is located along the southern end of the Rapel Valley. This topography creates a climate that receives around 23.3 inches of rainfall per year and little to no rainfall during their summer months. This helps keep the grapes safe close to harvest and ensures that the grapes are fighting for water therefore creating a more intense fruit. This year’s harvest has gotten off to a great start. The white grapes are coming off the vine and will be in transit soon. 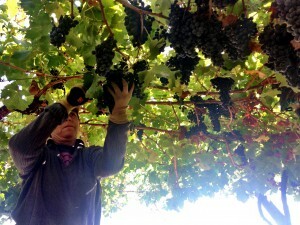 Our early red grapes such as Pinot Noir and Merlot will start harvesting around March 30th. 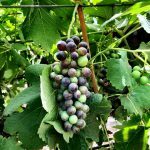 Arrival Dates: White grapes should arrive around the last week in April and the red grapes should start to arrive around the first week in May. Get your crushers ready! Yeast suggestions for the following grapes via Manuela Astaburuaga. Manuela is the enologist at “Correa Albano” and has studied in both France and New Zealand. Her family also owns many of the vineyards we source from. 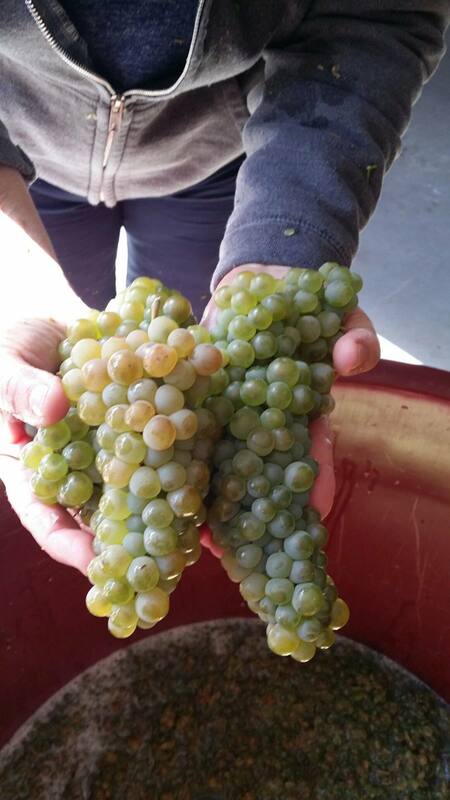 Sauvignon Blanc – For the SB the most important thing is the yeast that express the thiols aromas. Try VIN13 to bring out such thiol aromas like tropical fruits. Cabernet Sauvignon –You want the fruit and earthiness to shine. Try D254, BM4X4, or CSM. Maybe think about blending yeasts for more complexity! 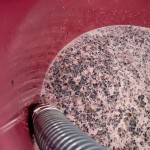 Pinot noir – RC 212 is one of the best yeasts for Pinot Noir. 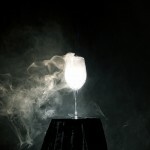 The Winemaker’s Think Tank: Vol 25 – Why is my wine evaporating? Why is my wine evaporating? 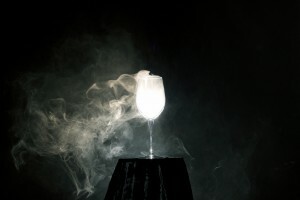 Just like water or any other liquid, with prolonged exposure to air, wine can evaporate. When aging wine in an enclosed container such as a tank, carboy, or demijohn, the container should have an airtight seal via an inflatable gasket or an airlock and bung. This will help prevent against oxidation and will reduce the amount of evaporation dramatically. If you still see some evaporation happening in one of these closed containers, evaluate your bungs and seals as they may not be working properly. The main source of evaporation in winemaking is through barrel aging. Barrels are a porous environment that allows the wine to “breathe” over time. This “breathing” process is essentially evaporation. The wine is exposed to air through the porous staves and small portions of the wine evaporate into the atmosphere. This has positive effects on the wine as it creates a creamier mouthfeel, can reduce the perception of acidity, and imparts oak flavor. 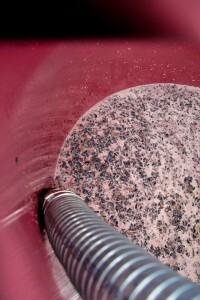 The barrel must be filled monthly with additional wine to reduce the head space and replace the evaporated product. This will prevent the wine in the barrel from oxidizing. While the breathing process may be a source of frustration, as you witness your wine evaporating into thin air, it will help you to create a fuller, heavier, more lush wine. 1. Sanitize and Crush and Destem – Inspect your grapes and remove any moldy clusters. Crush and destem into clean and sanitized food grade plastic tubs. Always rinse your receiving vessel with a sanitizing strength potassium metabisulfite solution (2oz/gallon or 3tbsp/gallon). Make sure that the sanitizing solution touches all the surfaces of the vessel and that the vessel is completely emptied out of all sanitizing solution after. Shake free any drops as best you can from the vessel. Having remaining sulfite liquid in the vessel will prohibit fermentation. Do not rinse the sanitizer off with water after sanitizing as that will reintroduce bacteria to the environment. 2. Once all of the grapes are crushed, try to accurately measure your quantity of must. Add ¼ tsp of potassium metabisulfite for every 5 gallons of must that you have. Mix up the must thoroughly. 3. Wait for 2 hours after the sulfite addition and then add pectic enzyme to the must. Musto Wine Grape offers generic pectic enzyme or Cinn Free pectic enzyme that is specifically designed for white wine grapes. Follow the directions for the individual type of enzyme. Always mix it with water to create a 10% solution (if you use 5mls of enzyme, mix it with 45mls of water). The water allows it to better circulate throughout the must. Allow the pectic enzyme to work for 6 hours before pressing. 4. Press the Must – Wash the press and sanitize using potassium metabisulfite. Again, make sure the press does not have an excessive puddles or lingering amounts of sanitizing solution remaining. Sanitize the receiving container for fermentation (carboy, tank, demijohn, barrel) and any pumps or tubing that you may use. Anything that comes in contact with the wine should be rinsed with sulfite sanitizing solution. Place a screen or mesh (also sanitized) inside of the press to hold back any extra skins or seeds from getting through. Start by scooping up the must and placing it in the press. Some of the liquid will immediately flow through; this is the “free run”. When the press is full, slowly begin pressing. Do not try and press every last drop out of the must as this can lead to seed cracking and bitterness in the wine. Fill each container to within 6 inches of the top, to allow room for fermentation. This process will cause the juice to foam up and generate gas, therefore volume. 5. After pressing the grapes, mix the container thoroughly and take and record your measurements. Measure Brix, pH, and TA. If you need to adjust your juice at all, this is the time to do it. Ideally your Brix should be between 21-26 degrees, the pH between 3.2-3.5, and the TA between 6.5-8.5g/L. Your initial Brix reading, multiplied by .55, will give you a close estimate of your ending alcohol by volume percentage. 6. If you would like to use fermentation tannins (FT Blanc) or fermentation nutrients such as Opti-White, add them after measurements and adjustments have been made. Musto Wine Grape packages FT Blanc and Opti-White in small packs for 5 gallon batches. Mix any of these ingredients in thoroughly. 7. After measurements have been taken and any adjustments have been made, it is time to set yeast if you are using a cultured yeast strain. Use 1gram/gallon of wine must. Follow the yeast set directions on the packet explicitly and/or see the separate “Yeast Set” instructions. 8. After you atemperate and add your yeast, cover your tank with a floating lid or your carboy or demijohn with an airlock. An air lock will allow the carbon dioxide to escape the container without additional air getting in to oxidize the wine. 9. Stir the juice every other day to re-suspend the yeast and nutrients. Keeping the yeast in suspension is important to give it access to sugar and nutrients and to avoid the production of H₂S. 10. If you are using additional yeast nutrients to assist in fermentation you will add them after fermentation has started. Fermaid O is added at the beginning of fermentation (1 day after yeast set) and all others (BSG yeast nutrient, Fermaid K, AnchorFerm) will be added at 1/3 depletion of the Brix (2/3 of the beginning amount of Brix). Follow the directions for the individual yeast nutrient, hydrating with water and mixing thoroughly. 11. If you are adding malolactic cultures to your wine (Chardonnay), you may also chose to do this at 1/3 Brix depletion. If using a malolactic nutrient (Opti-Malo Plus) with the bacterial culture, hydrate the nutrient in a separate container from the bacteria and add to the must directly before the addition of the bacteria. Follow all directions on the bacteria and nutrient packets explicitly. 12. Monitor the progression of the juice by taking daily hydrometer readings. Using a sanitized wine thief or syringe, pull a sample of fermenting wine that is large enough to fill the hydrometer cylinder. Always sanitize the hydrometer and the cylinder before taking a reading. Look to the meniscus of the wine surface in relation to the hydrometer for the most accurate reading. When the wine is fermented to dryness (0.90 Specific Gravity), is has completed its primary fermentation. Allow the lees particles to settle, and then rack the wine into a sanitized container. Be sure that the container is filled within ½” of the top to prevent air exposure. At this point, it is imperative to add ¼ tsp of potassium metabisulfite per 5 gallons of wine. The sulfites will kill off any harmful microbes and prevent the wine from oxidizing. 1. Sanitize and Crush and Destem – Inspect your grapes and remove any moldy clusters. Crush and destem into clean and sanitized food grade plastic tubs, stainless steel tanks, or glass carboys or demijohns. 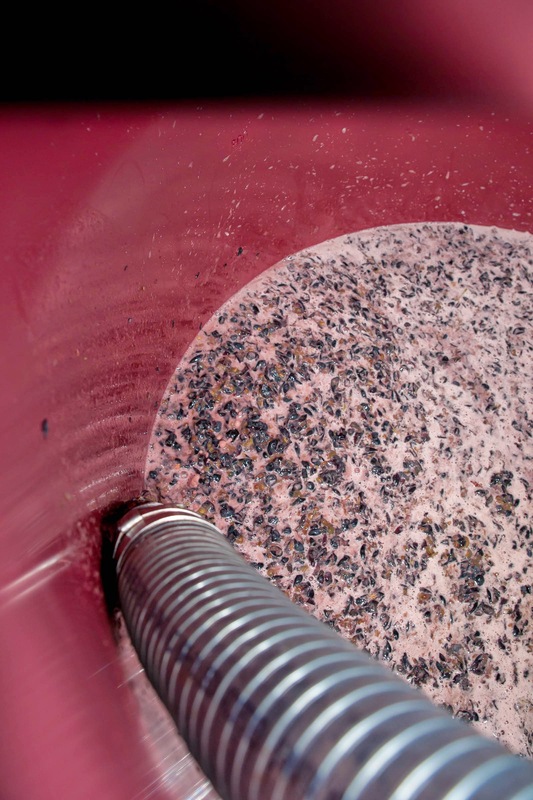 Always allow an extra 20% of volume for fermentation purposes as the wine will “expand” throughout fermentation. Always rinse your fermentation vessel with a sanitizing strength potassium metabisulfite solution (2oz/gallon or 3tbsp/gallon). Make sure that the sanitizing solution touches all the surfaces of the fermentation vessel and that the vessel is completely emptied out of all sanitizing solution after. Shake free any drops as best you can from the fermentation vessel. Having remaining sulfite liquid in the vessel will prohibit fermentation. Do not rinse the sanitizer off with water after sanitizing as that will reintroduce bacteria to the environment. 3. Wait for 6-8 hours after the sulfite addition and then add pectic enzyme to the must. Musto Wine Grape offers generic pectic enzyme or Color Pro pectic enzyme that is specifically designed for red wine grapes. Follow the directions for the individual type of enzyme. Always mix it with water to create a 10% solution (if you use 5mls of enzyme, mix it with 45mls of water). The water allows it to better circulate throughout the must. Allow the pectic enzyme to work for 12 hours before yeast set. 4. Twenty four hours after crushing the grapes, mix the container thoroughly and take and record your measurements. Measure Brix, pH, and TA. If you need to adjust your must at all, this is the time to do it. Ideally your Brix should be between 23-28 degrees, the pH between 3.4-3.7, and the TA between 6-7g/L. Your initial Brix reading, multiplied by .55, will give you a close estimate of your ending alcohol by volume percentage. 5. If you would like to use fermentation tannins (FT Rouge, oak dust) or fermentation nutrients such as Opti-Red, add them after measurements and adjustments have been made. Musto Wine Grape packages FT Rouge and Opti Red in small packs for 5 gallon batches. If using oak dust, use 1/4cup for every 5 gallons of must. Mix any of these ingredients in thoroughly. 6. After measurements have been taken and any adjustments have been made, it is time to set yeast if you are using a cultured yeast strain. Use 1gram/gallon of wine must. Follow the yeast set directions on the packet explicitly and/or see the separate “Yeast Set” instructions. 7. After you atemperate and add your yeast, you may cover the vessel lightly with an old sheet or towel or place the lid gently on top of the bucket, if an airlock is in place. An air lock will allow the carbon dioxide to escape the pail without additional air getting in to oxidize the wine. 8. Obtain a must punch tool, a long stainless steel spoon, or your bare hands, and sanitize your tool or hands with sulfite sanitizer. This is what you will use to “punch down” or mix up the must three times a day. Try to mix everything very well, pushing all of the skins back down to the bottom, getting them very wet, and bringing up the piqued from the bottom. This should be done as often as possible, preferably three times a day. [Before work (7am), after work(5pm), and before bed (10pm)] When punching down every evening, take a sample of the liquid and using your hydrometer, track the Brix depletion. You should notice a drop in Brix daily. 9. If you are using additional yeast nutrients to assist in fermentation you will add them after fermentation has started. Fermaid O is added at the beginning of fermentation (1 day after yeast set) and all others (BSG yeast nutrient, Fermaid K, AnchorFerm) will be added at 1/3 depletion of the Brix (2/3 of the beginning amount of Brix). Follow the directions for the individual yeast nutrient, hydrating with water and mixing thoroughly. 10. If you are adding malolactic cultures to your wine, you may also chose to do this at 1/3 Brix depletion. If using a malolactic nutrient (Opti-Malo Plus) with the bacterial culture, hydrate the nutrient in a separate container from the bacteria and add to the must directly before the addition of the bacteria. Follow all directions on the bacteria and nutrient packets explicitly. 11. Punch down and take Brix measurements daily. When your hydrometer reads 0.90, you have fermented to dryness. At this point your malolactic fermentation may still continue, but the primary alcoholic fermentation is complete. You may now press the wine. Wash the press and sanitize using potassium metabisulfite. Again, make sure the press does not have an excessive puddles or lingering amounts of sanitizing solution remaining. Sanitize the receiving container (carboy, tank, demijohn, barrel) and any pumps or tubing that you may use. Anything that comes in contact with the wine should be rinsed with sulfite sanitizing solution. Place a screen or mesh (also sanitized) inside of the press to hold back any extra skins or seeds from getting through. Start scooping up the must and placing it in the press. Some of the liquid will immediately flow through, this is the “free run”. When the press is full, slowly begin pressing. Do not try and press every last drop out of the must as this can lead to seed cracking and bitterness in the wine. Fill each container to within ½” of the top and secure a bung and airlock in place. Malolactic fermentation will exude a small amount of carbon dioxide and there will be trapped gas within the wine that will need to escape the container. 12. Allow the wine to sit for 2-3 weeks. You can conduct malolactic chromatography or bring a sample to a winemaker at Musto Wine Grape for analysis to ensure that your secondary fermentation is finished. At this point you should see a nice thick layer of lees in the bottom of the carboy or demijohn. You will want to place the full vessel onto an elevated surface such as a table and place the new, sanitized, empty vessel on the floor below. Using a sanitized siphon, rack the wine into the new carboy. You may have space at the top which will need to be “topped off” with more wine. You can either use wine from another container, or finished wine to do this. It is very important that there is less than a 1/2” of headspace in each container. At this point you should also add 1/4tsp of potassium metabisulfite per 5 gallons of wine. 13. Now it is time to let your wine age. You will need to rack it and add additional SO₂ every 3 months. Make sure you sanitize all equipment and containers when racking and keep them topped off within ½”. Come visit Musto Wine Grape for bottling advice and supplies. 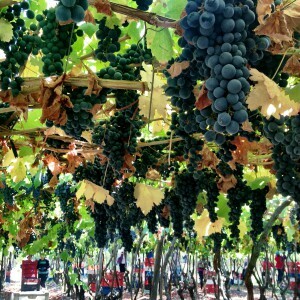 Argentina Has Officially Been Added to Our Spring Grape Program! Grapes Being Sourced: Malbec, their Malbec makes up 46% of their farmed vineyards. 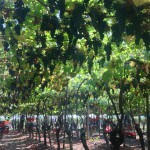 Grower Information: The first Cantinian vineyard was planted in 1923. 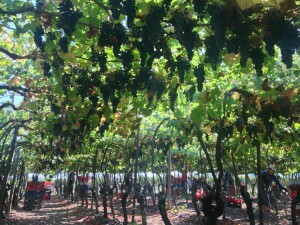 As of 2012, the wine grapes grown in the Cantinian vineyards were certified organic by Argencert (in conjunction with the USDA Organic Certification) and accredited by Global Program IFOAM. 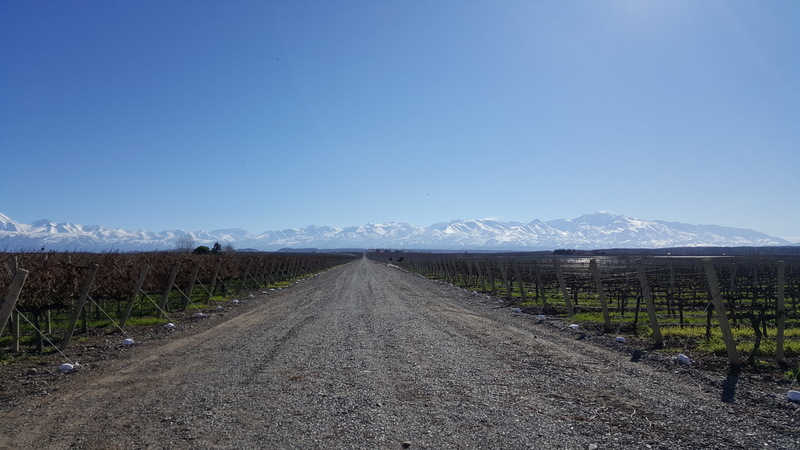 The vineyards are situation on elevated terrain with views of the Andes Mountains. 2017 was a fantastic growing season up until the other day. As many of you might have heard on the news massive fires broke out in Chile. The fires have been a devastating blow to the Chilean people. However, The Curico Valley and the Southern regions of Colchagua Valleys were thankfully not affected. Unfortunately other Chilean wine growing regions such as the Maipo Valley were greatly affected by the fires and might not be able to produce vintages this year. We encourage everyone to donate to the Red Cross to aid in the relief of these fires. The growing season for the Curico and Colchagua Valley’s was a hot and dry one. Expect wines with great character, intense flavors, complexity, and distinction. We should be receiving grapes around the same time as last year, maybe a little earlier for the whites. 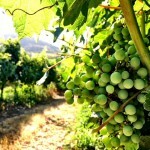 The first white grapes will be picked at the end of February. Carmenere will be in shorter supply this year as the demand has gone up for this grape, so put your orders in early! The wines of Chile – along with the winemakers and vineyards that produce them – have had some profound transformations in the past 30 years. Grape growers have successfully determined which varietals thrive in their vineyards, have experimented with unique trellising systems, and explored interesting new areas for planting. The wines now have a head start because of the wonderful grape quality. Musto Wine Grape Company, LLC. has been importing quality Chilean wine grapes for over 10 years. We have developed long lasting relationships in Chile and are constantly growing and developing the program. The vineyards are located between the Andes Mountains and Pacific Ocean. Therefore, the vines have excellent growing conditions for perfect ripeness and complexity thanks to the ocean breeze and Mediterranean climate. 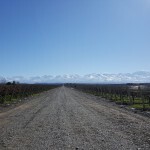 The Curico Valley has been a wine grape growing region since the 1800’s and is located about 115 miles south of Santiago in the Central Zone of Chile. It is known as the “Heart of the Chilean wine industry”. Curico has the perfect fertile soil and is best known for its micro climates and the ability to grow over 30 different wine grape varieties. Situated along the Guaiquillo River and nestled between mountains on its east and west sides, Curico’s Mediterranean climate and unique topographical features helps to create some of the finest wine grapes in South America. The climate in the valley is characterized by morning fog and wide day-night temperature fluctuations. 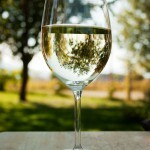 Climatic conditions in some parts of the valley favor wines with higher acidity, such as white varieties including Chardonnay, Sauvignon Blanc, Vert and Gris. 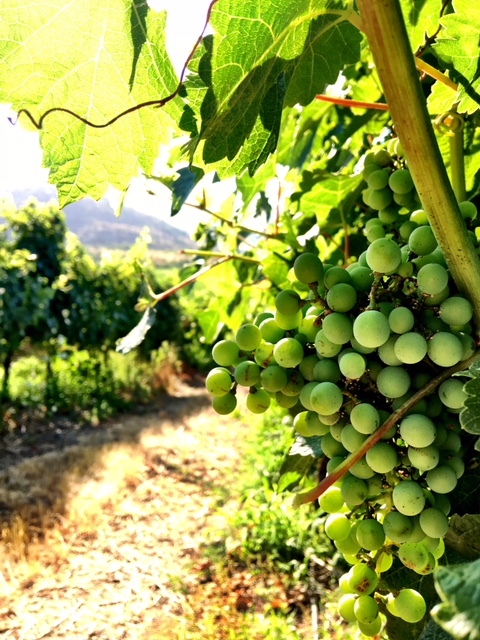 High quality Cabernet Sauvignon, Syrah, Merlot, and Carménère grapes are sourced from warmer areas of the valley, such as Lontué, particularly when produced from ancient vines.